Fort Bend County Criminal Defense Lawyer James (Jim) Sullivan is an experienced Criminal Defense Attorney. For over 18 years, Jim Sullivan has successfully fought the government in Jury Trials on behalf of clients in criminal and juvenile courts. If you are under investigation or have been charged with a crime or delinquency, call Richmond Texas criminal defense attorney Jim Sullivan to discuss your case. 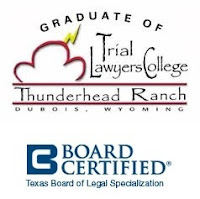 Richmond Texas Juvenile Attorney Jim Sullivan is Board Certified in Juvenile Law by the Texas Board of Legal Specialization. Juvenile law is different than criminal law. Note: Among the more than 83,000 active lawyers in Texas, there are only 38 lawyers Board Certified in Juvenile Law in private practice.